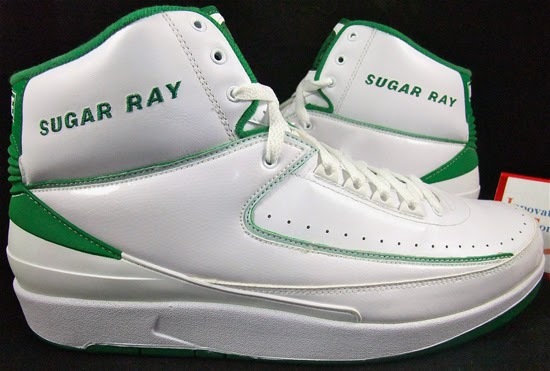 A rare pair of Air Jordan 2 Retro's made exclusively for "Sugar Ray" during his time in Boston. Check out the auction here. 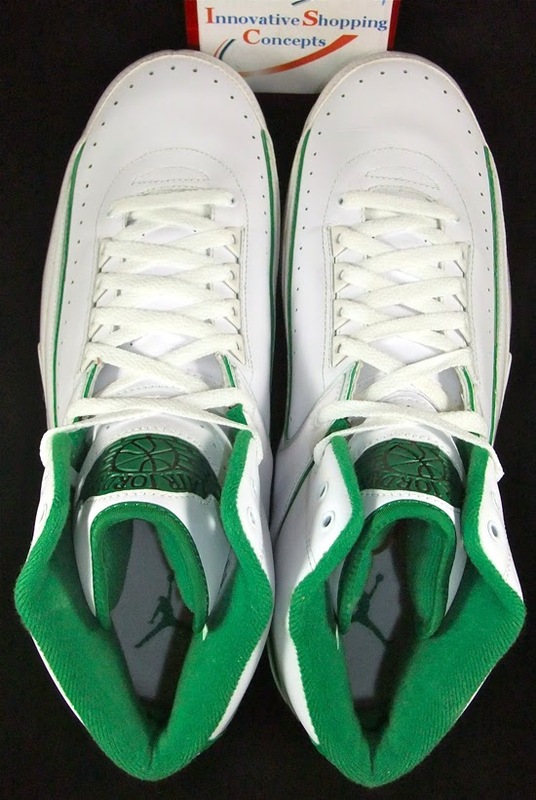 This Air Jordan 2 Retro comes in a white and clover colorway. 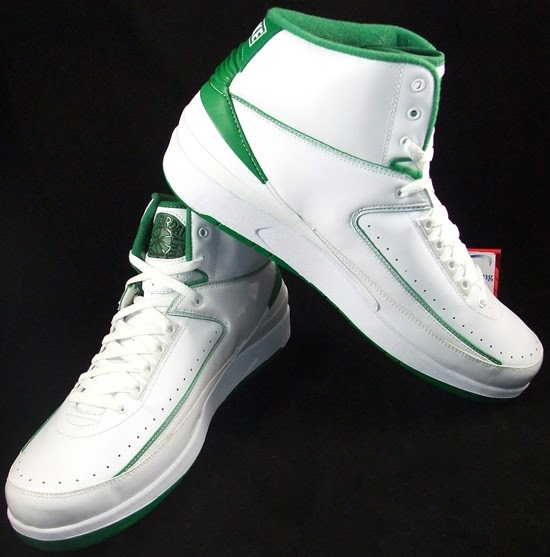 A PE edition made for Ray Allen during his first year with the Boston Celtics. 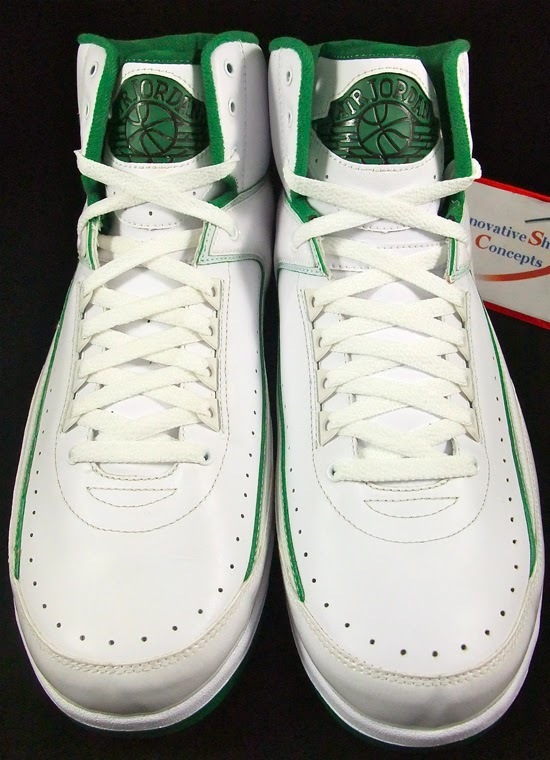 These are a "Home" edition made to match the Celtics team colors. 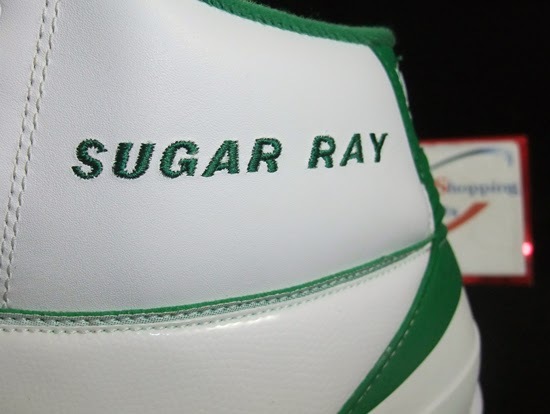 They feature a white based leather upper with hits of patent leather on the side panels. 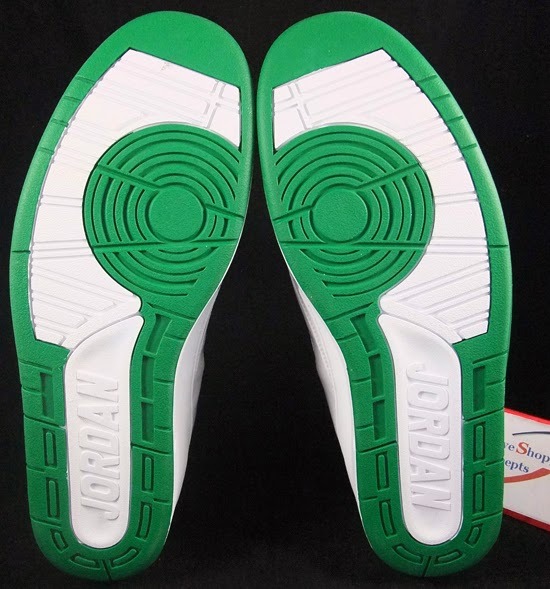 Clover green accents are found throughout the shoe as well as on the outsole. 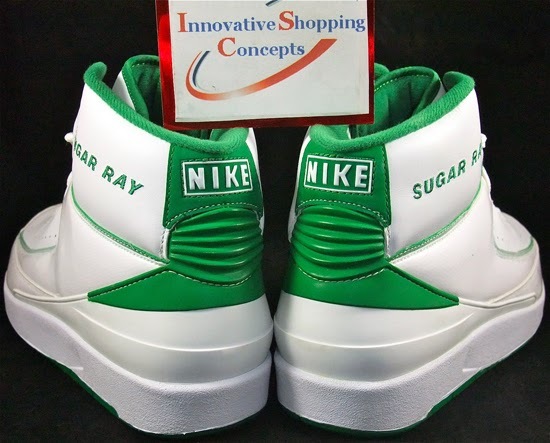 Ray Allen's nickname "Sugar Ray" is found stitched on the upper heels of each shoe. As these were made exclusively for Allen, they were never sold in stores or available to the public. 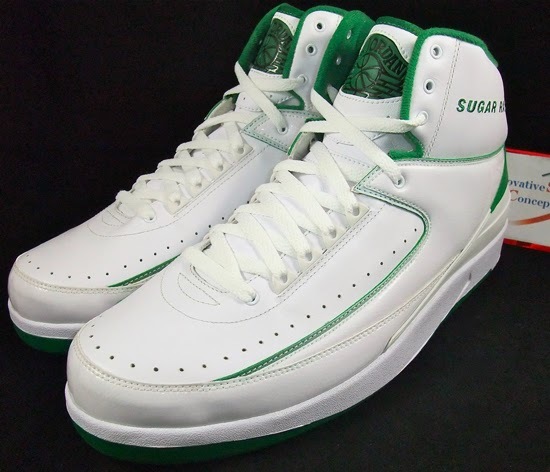 Enjoy the detailed images below of the Ray Allen Boston Celtics "Home" Air Jordan 2 Retro player exclusive in white and clover. If you can fit a size 14 or would like to add these to your collection, you can grab them from eBay here.